AS WELL AS ENSURE WHĀNAU ORA IS ALIVE THROUGHOUT AOTEAROA." Te Pūtahitanga o Te Waipounamu has an organisational structure that reflects its participatory model of leadership that focuses on shared decision making. Trevor was appointed to the Board of the GPL in December 2015 and took on the role as Chair in 1 July 2017. Trevor is a qualified Chartered Accountant and a Chartered Member of the NZ Institute of Directors. Trevor has wide ranging senior executive and governance experience covering the private, public, local government, health, NFP Chair of Wellington Free Ambulance Trust; Trustee of Life Flight Trust; Board Member and Chair of the Finance and Audit Committee of Compass Health: Board Member, Chair of the Sport Funding Committee, Chair of the Health and Safety Committee and member of the Audit and Finance Committee of the NZ Olympic Committee; Board Member of Surf Life Saving NZ; Independent Board Member and Chair of the Governance and Risk Committee of Greyhound Racing NZ and a member of the Advisory Board of ĀKAU a Kaikohe based start-up Social Enterprise Business. Previous governance roles were in the energy and construction-transport sectors. Trevor’s initial career was within the Energy Sector where he spent 25 years working for Petrocorp, Fletcher Challenge Petroleum, Southern Petroleum and the Electricity Corporation of New Zealand. Following which Trevor worked for 14 years in the NFP sector as the CEO of the Outward Bound Trust of NZ. Donovan was appointed as a Director for Te Pūtahitanga o Te Waipounamu in December 2015. He is the current chair of the Finance, Audit and Risk committee. He is an experienced Director with Governance experience across multiple sectors. Donovan has a passion and commitment to improving Māori health outcomes. He had a vision for tāne, that is to “stand up” and be the leaders of their whānau, that’s Whānau Ora. Born and bred in Murihiku, Donovan’s parents like so many others travelled south in the 60’s and 70’s in seek of employment...and stayed. He grew up around Murihiku marae, Te Rau Aroha and Nga Hau e Wha and has fond memories of his childhood. Donovan has a Master’s in Business from Otago University and is the CEO of Manaia Health PHO in Whangarei. Glenice was appointed to the Board of the GPL in April 2017. Previously a member of the founding Te Putahitanga Te Taumata Board, she has a background in the conservation and resource management fields and was recently appointed to the Environment Court as Deputy Commissioner. Glenice has held many governance positions and has gained considerable experience through her tenure as Tumuaki (Chair) of Nga Kaihautu Tikanga Taiao, a Māori Advisory Committee to the Environmental Protection Authority, and Chair of Te Atiawa Trust. She is currently a member of the Biosecurity 2025 Strategy Steering Group, Chair of the Kahui Māori Biological Heritage – National Science Challenge and interim Chair of Te Tira Whakamataki (The Māori Biosecurity Network). Tā Mark Solomon was born and raised in Christchurch where he lives there with his wife Maria, their children and extended whānau. Tā Mark served as kaiwhakahaere (chairperson) of Te Rūnanga o Ngāi Tahu, the tribal council of Ngāi Tahu, for approximately 18 years, from 1998 until December 2016. Solomon continues to act in various directorship roles including as chair of the Canterbury District Health Board. Tā Mark is also the South Island representative on the interim, Te Roopu, The Māori advisory group to the Government’s joint venture on family violence and sexual violence. 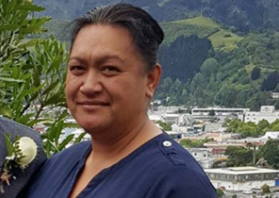 Tā Mark has been a strong advocate in Te Waipounamu for Tū Pono: Te Mana Kaha o te Whānau, a whānau-driven movement that has a focus to explore ways of enabling a stronger Māori response to reduce and eliminate family harm/violence. “Our moemoeā back in 2013 was for all the tribes of Te Waipounamu to come together as one, for the single-most important pursuit of our time, investing in our whānau. We always knew that we were stronger together. I am so pleased to be back doing what I love best, serving the aspirations of our whānau”. Sally Pitamaworks as a Te Runanga o Ngāi Tahu Refugee and Migrant Sector Advocate. In her role as multi-cultural advisor, Sally has played an integral part in the establishment of the Migrant Inter-Agency group, set up in 2011. 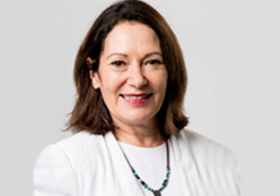 She has also worked in advisory roles offering insights to a wide range of groups such as Canterbury Family Violence Collaboration and in social impact projects such as Kai Baskets. “The experiences we as Ngāi Tahu, as Waitaha, as Aotearoa have been through this year has been both harrowing and unifying” said Taua Sally. “The common call for kotahitanga has extended across ethnic, cultural, religious and national divides, and instead brought us all much closer together. In the sphere of Whānau Ora, the expression of manaakitanga is a vital platform for change. I am so proud to be part of this movement forward”.